Initially established as a securities company engaged in financial services in 1989, PT MNC Investama Tbk, also known as MNC Group (the “Company”), has now transformed into a leading investment group in Indonesia. In 1997, the Company entered a new phase as a public company by listing its shares on the Indonesia Stock Exchange with ticker symbol BHIT. As a public company, the Company affirms its commitment to improving operational performance, services to customers and other stakeholders, with a transparent reporting and monitoring system of the Company’s financial and operational performance. 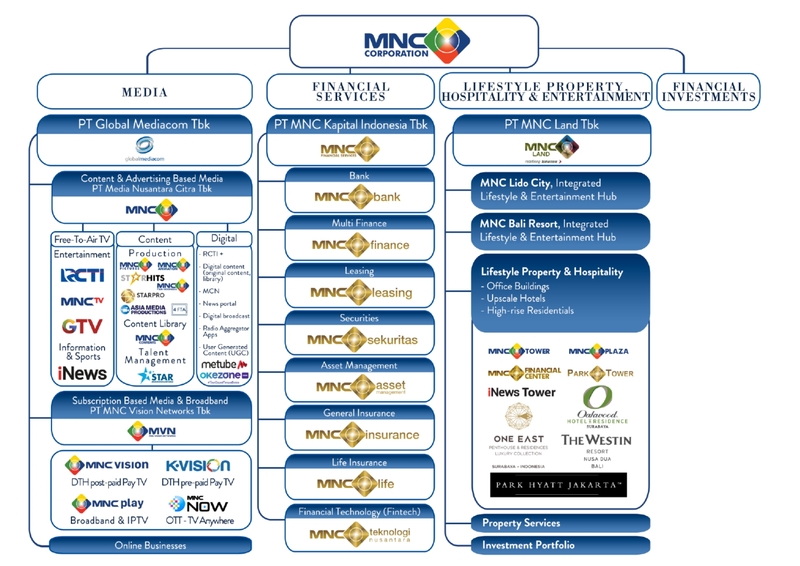 Under the leadership of the founder and Chairman of MNC Group, Hary Tanoesoedibjo, the Company is currently focusing on 3 (three) strategic investments, namely media, financial services, property, as well as one other complementary business that is closely related to its core business namely financial investment. The Company was incorporated on November 2, 1989 in Surabaya, East Java, with the name PT Bhakti Investments, which was later changed to PT Bhakti Investama with ticker symbol “BHIT” listed on the Indonesian Stock Exchange. As a business strategic move, the Company changed its name to PT MNC Investama Tbk. The name change was approved by the shareholders through the General Meeting of Shareholders on May 2, 2013, and later, on August 23, 2013 was approved by the Ministry of Law and Human Rights. In accordance with Article 3 of the Articles of Association, the Company’s scope of activities covers the fields of industry, mining, transport, agriculture, construction (contracting), services and trade. In the normal course of business, the Company, as the parent company of several subsidiaries, is engaged in financial investments and focuses on 3 (three) strategic investments namely media, financial services and property. In the media sector, which is operated through its subsidiary Global Mediacom, otherwise known as MNC Media, the MNC Group is the largest and most integrated media Group in Southeast Asia with a portfolio consisting of 4 (four) national TV stations Free-To-Air (FTA): RCTI, MNCTV, GlobalTV and iNewsTV as well as 22 channels broadcasted on subscriber based television (ie. MNC Channels). RCTI, MNCTV and GlobalTV focus on entertainment, while iNewsTV focuses on news and sports programs. iNewsTV is the largest networked national TV and consists of 60 local TV across Indonesia. By December 2016, of the 11 national FTA TV stations, 4 (four) TV stations owned by the Company controlled 46% of the advertising-based television network. In this content and advertising-based media segment, MNC Media is still the television industry leader providing popular drama and talent programs. The programs shown by the Company have recorded a Prime Time audience share of 44.6%. In the drama genre, 5 of 10 most favorite drama series are aired by MNC. MNC Media also operates 22 subscriber-based MNC TV channels and has the largest content library with more than 300 thousand hours of programming. 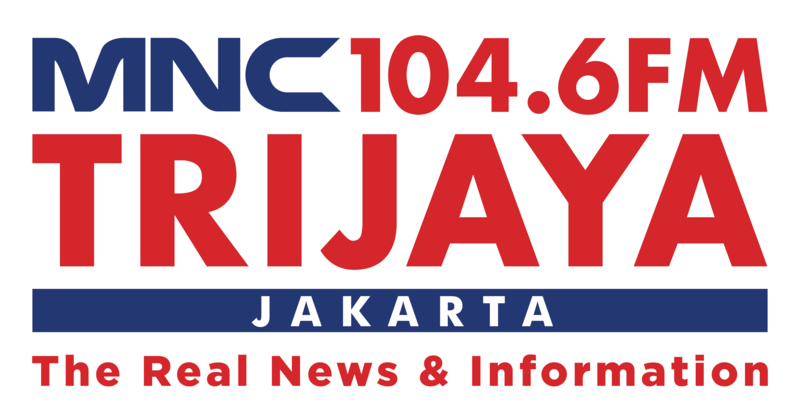 Subscriber-based media segment managed by MNC Sky Vision today has become the largest pay-TV channels in Indonesia through three (3) brands : Indovision, Top TV and Okevision with 2.5 million active customers. MNC Sky Vision operates its own satellites and consistently offers premium quality services oriented to its customers and focused on expanding its extensive sales network. To this date, the company has maintained a dominant market share with over 70% of total pay-TV market in Indonesia. To complement the pay television business, MNC Media also owns MNC Play a provider of fiber optic-based network services using the latest infrastructure Fiber To The Home (FTTH) presents 4 integrated Quadruple Play services consisting of light speed internet with a speed up to 1,000 Mbps, interactive cable TV, interactive New Media featuring Home Automation, Interactive Home Shopping, Interactive Stock Trading, and crystal clear telephony with video call feature. Internet Protocol Television (IPTV), which is only available through MNC Play which has extensive features such as video on demand, high-definition channels, TV on demand and time shift. By the end of 2016, Play Media has rolled out 1,000,000 homepass in seven 7 (seven) major cities in Indonesia. The reliable FTTH network provides a stable internet connection at speeds up to 1,000 Mbps, both for downloading and uploading. IPTV MNC Play has presented 143 pay-TV channels including 38 exclusive channels; 22 of which are MNC brand channels. To improve the synergy in the media business, MNC Media also owns and operates print media and the largest radio network. MNC Media produces FTV animations and soap operas and feature films. To support in-house productions, MNC Media has established Star Media Nusantara, a talent management company that is currently developing the careers of more than 400 artists. In the online business, Okezone.com is an online news and entertainment portal focusing on Indonesian readers with various contents. Okezone.com publishes around 700-800 new items every day, the most in Indonesia. In addition to Okezone.com, the Company also has online streaming through Okezone.tv, which has become the premier online TV streaming service in Indonesia. As of December 31, 2016, Okezone.com received 20 million visitors every day. MNC Media also operates an entertainment video portal through metube.id, online travel services that focuses on tickets sales, accommodation and travel packages through www.misteraladin.com, as well as online shopping through www.brandoutlet.com. At Home Shopping Business, MNC Shop is an online shopping center accessible 24 hours a day, either via channel 88 (Indovision, Top TV, OkeVision, MNC Play), or www.mncshop. co.id. MNC Shop performs optimal business synergy by operating on multiple platforms: Pay TV, FTA and the internet as welll as providing different types of access to customers. MNC Media Investment, a foreign-based subsidiary of MNC Media, has achieved remarkable success in its investment in Le Tang, based in Hefei, China by producing online and mobile games for mobile phones and tablets. Mobile games “Boonie Bears 2” (BB2), “Armor Heroes”, and “Crayon Sinchan” have been downloaded over 320 million times to date. In the financial services sector, managed by MNC Kapital Indonesia, known as MNC Financial Services, MNC Group has a strong commitment to providing comprehensive and integrated financial products and services, through MNC Bank, MNC Finance, MNC Securities, MNC Life, MNC Insurance, MNC Leasing and MNC Asset Management. MNC Bank, which played an important role in the growth of the Group’s financial business, offers banking services and develops a full service digital banking system in order to become bank of the future. MNC Bank has recorded significant growth after making fundamental improvements in its business strategy by maximizing synergy with the other subsidiaries under the MNC Group. Currently, MNC Bank is focused on its main segments, namely the Consumer Banking and SME segments, where the second segment has significant market growth potential. MNC Finance focuses on consumer financing with its majority of portfolio in home and automobile financing. By the end of 2016, MNC Finance had a distribution network with 46 branches, where 45 branches provided vehicle financing, 22 branches provided MNC Express and 10 branches provided home financing. MNC Leasing focuses on productive assets financing for corporate customers among businesses in Indonesia with financing schemes such as working capital financing, investment financing, and multipurpose financing, and has shown improved performance and has become one of key contributors to the revenue structure of MNC Kapital Indonesia. At the end of 2016, MNC Leasing ran its operation through a distribution network of 14 branches. MNC Life offers various protections including traditional insurance, such as life and health insurance as well as wealth accumulation, wealth protection and unit link products that cooperate with MNC Asset Management. Until the end of 2016, MNC Life had 26 sales offices in 23 cities and 10,922 agents. A remarkable achievement in less than 5 (five) years of operations backed by a strong and widely known MNC Group reputation. MNC Insurance provides retail and corporate products. In the 2011-2016 period, MNC Insurance’s gross premium growth reached 883% with 476% asset growth, an impressive record that shows the success of MNC Group in the insurance sector. MNC Securities provides brokerage services for stocks and fixed income instruments, underwriting, financial advisory services, as well as research. This subsidiary also provides margin-financing services for clients that actively trade in the capital market, as well as valuable information from the Research Division about equity and fixed income. MNC Asset Management offers investment products for individual investors, including high-net-worth individuals, retail and institutional customers, mutual funds, and discretionary account management that can be tailored to the preferences of each customer. In the property sector, the Company through MNC Land in a short time has grown to become one of the largest property companies in Indonesia. Engaged in property development, construction, acquisition, and integrated tourism area. In property, MNC Land currently owns and operates a number of commercial properties. Currently, MNC Land has six main strategic business lines including MNC Lido City, an area of 3,000 ha in Lido, West Java that is dedicated as an integrated lifestyle and entertainment center; MNC Bali Resort, a luxury resort area covering 106 ha in Tabanan, Bali, the largest and most integrated resort area in Bali; MNC City, the construction of smart city covering 3,000 ha in Tangerang, Banten; Public property comprising properties under development, as well as a premium commercial and residential property portfolio; Property Services providing property management services, security services and other property related services for both internal and external customers; as well as an Investment Portfolio. MNC Lido City will become the pride of Indonesia with its sophisticated facilities, whereby in the first phase covered an area of 700 ha, in two major components, a world-class resort theme park and a Trump super luxury community, supported by smart infrastructure. All these components are entering the final design stages, except for the championship golf course designed by Ernie Els that is currently in the construction phase and is expected to be completed in early 2018. MNC Bali Resort will also offer The Trump Hotels signature golf course which is currently in the design stage. The best-known 18-hole golf course, that has held many championships in MNC Bali Resort faces Pura Tanah Lot, was designed by Phil Mickelson, winner of Major Championships. Two properties in the Commercial Property business sector that are currently in the construction phase, include One East Penthouse and Residences Collection in Surabaya, which houses the Oakwood Hotel & Residences, and the MNC Media Tower and Park Hyatt Hotel in Jakarta. The One East Penthouse and Residences Collection construction process is now entering the fitting out stage and is nearing completion. Some strata apartment units have been handed over to their owners. The MNC Media Tower and Park Hyatt Hotel Construction, with 39 floors, reached the topping off stage in December 2016 and has now entered the finishing stage. MNC Land also has a significant investment in Plaza Indonesia in Jakarta, which includes the Grand Hyatt Hotel and the Keraton Luxury Collection Hotel; FX Sudirman and The Plaza in Jakarta; and The Westin Resort & Convention Center and the Pan Pacific Nirwana Bali Resort in Bali. 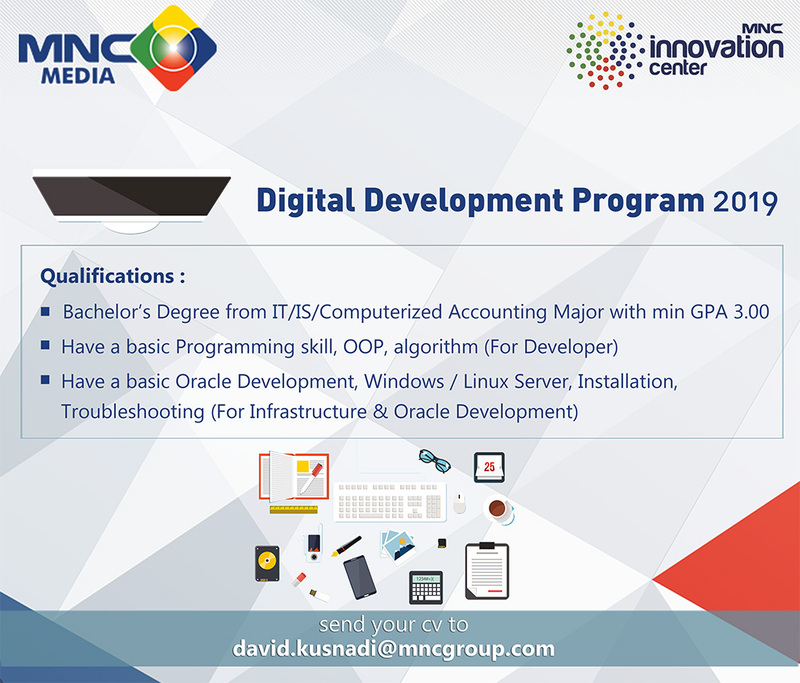 MNC Land also built and developed the MNC Group office complex located in Kebon Jeruk, West Jakarta and Kebon Sirih, Central Jakarta, which serves as the hub for news production from affiliated media companies such as PT Global Mediacom Tbk with 4 (four) national TV stations: RCTI, Global TV, MNCTV and iNewsTV, as well as other news media including print media and radio. MNC Land has also successfully completed MNC Tower office building with 12 floors and situated in a strategic area of Surabaya. Another business operated by the Company is financial investment, with the investment purpose purely for profit. Currently, the Group has investments in the transportation, coal mining and coal terminal sectors. The Company is confident that these three strategic businesses managed by the Company have high growth potential as they are supported by strong management teams, and the Group’s commitment to strengthening Indonesian capital and economic condition in all businesses managed and invested in by the MNC Group. Along with the expected improving domestic economic conditions, the Company will continue to take strategic measures to develop the media, property, financial services sectors and to invest in lucrative projects with high growth prospects. To become one of the leading investment companies in the Asia Pacific region through solid financial management, innovation, and competent human resources. Consistently providing the best service that is fast and measurable, to add value to our shareholders, investors, and business partners. Working and synergizing together to be the company that keeps growing and expanding. Applying the principles of good corporate governance. Maintaining a balance between commercial and social aspects through commitment to community development. Vision : The ability to anticipate future business opportunity and become the market leader. Quality : Total commitment to be the best. Speed : Provides timely and high quality services to be at the forefront.